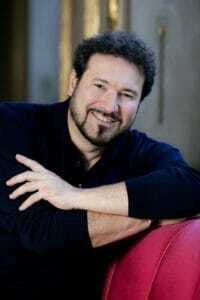 Carlo Colombara is one of the most sought-after Verdi basses on the international stage today. In 1989 he made his debut at LA SCALA MILAN, at just 25 years old, as the Prince of Bouillon in ADRIANA LECOUVREUR and has since gone on to appear on the world’s leading operatic stages including at the VIENNA STATE OPERA, METROPOLITAN OPERA NEW YORK, the OPERA NATIONAL DE PARIS, ROYAL OPERA COVENT GARDEN and the VERONA ARENA. At the ROME OPERA he appeared in LUCIA DI LAMMERMOOR, in 1992, opposite the legendary, Alfredo Kraus and he has given solo recitals and concerts at CARNEGIE HALL, London’s ROYAL FESTIVAL HALL and WIGMORE HALL, the VIENNA KONZERTHAUS and MUSIKVEREIN and the CONCERTGEBOUW in Amsterdam. He has collaborated with such leading conductors as Riccardo Chailly, Myung-Whun Chung, Colin Davis, Gianandrea Gavazzeni, Carlo Maria Giulini, Eliahu Inbal, Lorin Maazel, Zubin Mehta, Riccardo Muti, Antonio Pappano, Michel Plasson, Georges Pretre, Wolfgang Sawallisch, Giuseppe Sinopoli and Georg Solti, and with directors such as Jean-Pierre Ponnelle, Franco Zeffirelli, Werner Herzog, Luca Ronconi, Graham Vick, Robert Carsen, Eliah Moshinsky, Jonathan Miller and Peter Stein. His recordings include the role of Jacopo Fiesco in Thomas Hampson’s recording of SIMON BOCCANEGRA for DECCA, Count Rodolfo on Natalie Dessay’s recording of LA SONNAMBULA, Colline on DEUTSCHE GRAMMAPHON’s LA BOHEME with Anna Netrebko as Mimi, Raimondo on LA SCALA MILAN’s recording of LUCIA DI LAMMERMOOR with Renato Bruson and Mariella Devia, six editions of Verdi’s REQUIEM including a DVD version with Luciano Pavarotti as tenor soloist, an edition with Carol Vaness, Florence Quivar and Denis O’Neil with the orchestra and chorus of the BAYERISCHEN RUNDFUNKS conducted by Michael Gläser, and another conducted by Michel Plasson and a series of solo CDs of operatic arias and scenes. Carlo Colombara has appeared regularly for the METROPOLITAN OPERA New York, as Ramfis in AIDA and as Oroveso in NORMA, which he has also sung at the HOUSTON GRAND OPERA at the CHICAGO LYRIC OPERA and for TEATRO REAL, Madrid. He has also been engaged to sing Ramfis by the ROYAL OPERA COVENT GARDEN, the BAVARIAN STATE OPERA and ROME OPERA. Other past appearances at LA SCALA MILAN include Banco in MACBETH, also for TEATRO REAL and LA MONNAIE in Brussels, Zaccaria in NABUCCO, also at the VERONA ARENA, OPERNHAUS ZURICH, the DEUTSCHE OPER BERLIN and LA MONNAIE, Walter in LUISA MILLER, also at the BAVARIAN STATE OPERA and Sparafucile in RIGOLETTO, also for TEATRO REAL. Other notable engagements include Colline in LA BOHEME for the SALZBURG FESTIVAL, also at the LICEU OPERA in Barcelona and for the ISRAELI OPERA in Tel Aviv, Jacopo Fiesco in SIMON BOCCANEGRA at the MONTE CARLO OPERA and for the BAVARIAN STATE OPERA and Don Ruy Gomez de Silva in ERNANI at the VIENNA STATE OPERA and at TEATRO REAL. Highlights of Carlo Colombara’s recent seasons include, during 2015, a return to LA SCALA MILAN in the role of Colline and also as The King in AIDA, Zaccaria in NABUCCO for the ISRAELI OPERA, the title role in MEFISTOFELE for OPERA DE BELLAS ARTES in Mexico City, Talbot in MARIA STUARDA at the OPERA NATIONAL DE PARIS, and Ramfis at the VERONA ARENA. In 2016, Sparafucile again at LA SCALA and also at the TEATRO REAL, Oroveso in NORMA at the TEATRO SAN CARLO in Naples, Morales in EL JUEZ at the THEATER AN DER WEIN, and a return to LA MONNAIE as Banco amongst others. During 2017, once again at LA SCALA MILAN he gave further performances as COLLINE and appeared as Enrico VIII in ANNA BOLENA, singing the role during the same year for OPERA GRAND AVIGNON, and was engaged as Ferrando in IL TROVATORE by the LICEU OPERA. During this same period his concert appearances included Verdi’s REQUIEM, for LA SCALA MILAN in Milan’s CHIESA DI SAN MARCO, also for LA MONNAIE and also at the KONZERTHAUS DORTMUND and for the ALTE OPER FRANKFURT. Carlo Colombara returned to LA SCALA MILAN, during 2018, to sing The King in AIDA, appeared for the HAMBURG STATE OPERA as Count Walter in LUISA MILLER and Don Giovanni for OPERA ROMANA CRAIOVA. Forthcoming performances during 2019 include Raimondo in LUCIA DI LAMMERMOOR in Soeul, the role of Alvise Badoero in LA GIOCONDA and further performances as Count Walter both at the LICEU OPERA.